In recent weeks, there have been high-profile public debates about the identities and legal standing of Indigenous people. On October 9, the Supreme Court refused to hear a case concerning a North Dakota decision that will disenfranchise thousands of Native Americans. Less than a week later, Senator Elizabeth Warren—after much prodding from President Trump—completed a DNA test to affirm her claim of Native American ancestry. For this chat, Citizen Critics gathered four scholars of Native American law, identity, and rhetoric to grapple with these controversies. The conversation has been edited for clarity. 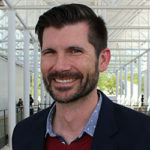 Jason Edward Black is professor and chair of the Department of Communication Studies at the University of North Carolina – Charlotte. He is the co-author of Mascot Nation: The Controversy over Native American Representations in Sports (Univ. of Illinois Press, 2018) and the author of American Indians and the Rhetoric of Removal and Allotment (Univ. Press of Mississippi, 2015). Liahnna Stanley is an M.A. student in the Department of Communication at the University of South Florida. 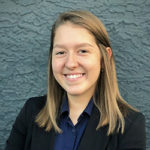 She studies how Native American communities face disproportionate burdens of addiction, health inequities, and violence, and hopes to demonstrate how Indigenous experiences, culture, and agency can shed light on health and geographical disparities at the margins. Janna Söder is a Ph.D. Candidate in Rhetoric & Political Culture at the University of Maryland. She researches how Native American identities are negotiated in the U.S. public sphere, specifically in a National Geographic photo project, news reports about the anti-Keystone Pipeline protests in 2014, and exhibits at the National Museum of the American Indian. Maggie Franz is a Ph.D. Candidate in Rhetoric & Cultural Studies at the University of North Carolina – Chapel Hill. Part of her dissertation project examines allotment-era disputes on the politics of US citizenship between Indigenous nations and organizations, as well as on the Six Nations’ rhetorical tactics of refusing US and Canadian citizenship during the 1920s. The discussion was moderated by Michael Steudeman, Assistant Professor of Rhetoric at Penn State University. Michael: I suppose we shall jump in! Let’s start with the Supreme Court’s choice not to consider the voting rights case in North Dakota. What were your immediate reactions, and have they evolved over time? Janna: I was not surprised by the North Dakota decision. Changing voting laws in order to exclude communities of color has a long tradition in this country. Both North and South Dakota have substantial Native populations due to the several reservations located in those states, and those Native populations have significant voter power within the districts and states. A few elections recently, like Heidi Heitkamp’s Senate race in 2012, were very close and even a few thousand votes make a difference there. Native people are more likely to vote Democrat than Republican, and making it harder for Native folks to cast their ballot gives an advantage to Kevin Cramer over incumbent Heitkamp. Jason: My first impression, as someone who has studied Native-US relations, is that the suppression issue is just the most recent of a long line of such actions on the part of settler-colonial government (federal or state). In fact, that’s part of the complication. As early as 1924, Native nations were given the right to vote. But, the states have always been able to singularly regulate just HOW those voting rights are actuated. Liahnna: I agree with Janna. For me, it further underscores the erasure of Native American voices and existence in general. And yes, it is absolutely reflective of history, especially with regard to race-making and power relations. Maggie: I agree. As a North Carolinian (where voter ID laws have worked as an exclusionary tool for the last few years), I was not surprised. Jason: The Indian Citizenship Act of 1924 was federal “theory” much the same way that the 15th Amendment was federal “theory.” States have usurped both over time, in terms of practice. Janna: I agree with Jason. I was also wondering whether this wasn’t more about excluding voters who were most likely going to vote Democrat rather than targeting a specific ethnicity. It’s just that it’s easier to exclude Indian votes because there’s a long history of it. Maggie: Yea, during the congressional debate for the Act of 1924, at the word “full” was removed from citizenship and states were reassured that they would still have authority over voting laws. Michael: One thing about it was surprising to me: That Sonia Sotomayor and Stephen Breyer sided with the decision not to hear the case at the SCOTUS level (only Ginsberg and Kagan dissented). It struck me that even Sotomayor, typically an assertive defender of voting rights, went along with the decision. Jason: Same here regarding the justices, Michael. Just for the record, let’s take a moment to recognize that RBG dissented (the ultimate holding)! Michael: She did! Although even her rationale seemed to be focused on the short-term consequences of the change—as she put it, “voter confusion”—and not the actual principle of connecting voting rights to a residential address. Maggie: Regarding SCOTUS, I think the lack of identitarian language in these voting restrictions is important, and points to how they can be both legal and exclusionary at the same time. Since Shelby County v. Holder (2013) struck down part of the Voting Rights Act (1965) states have been able to make laws that restrict voting as long as they do not violate the 15th amendment (which outlaws race-based voter restrictions). So, as long as states’ restrictions don’t mention race, these restrictions are legal. What republicans in Texas, North Carolina, and now North Dakota have done is to chip away at peoples’ access by requiring documentation that select populations of people tend to not have as well as by generally making voting harder by decreasing times and locations available to vote. I think this speaks to the larger issue at play here, which is that the broader project of social justice often times exceeds the language of US law. Janna: The question of residential addresses shows again how little people are aware of realities for Native American folks, rampant homelessness on reservations being one of them. Janna: Yes. None of the reservations in the Dakotas have DMVS, for one. And not all homes on the reservations have street addresses. Janna: Yes! Dominant groups are used to certain exclusions and oppressions to such an extent that they can’t even perceive them as such. In my more optimistic moments, I hope that this is changing. Liahnna: The question about residential addresses points to the ways in which Indigeneity is always tied to land and always will be. Michael: *looks up terra nullius* Ah, land that belongs to no one—I should’ve gotten that from the Latin. Liahnna: Jason—perhaps. There have always been disputes over land, too, but at least in the way I think of land in relation to Indigenous experiences is that we are defined by land. It is almost impossible to have a conversation about Native Americans or their history without even the discussion of land dispossession. That is all that many people know about Native Americans. Maggie: Yes! I think Chairman Mike Faith’s quote elaborates this: “Native Americans can live on the reservation without an address. They’re living in accordance with the law and treaties, but now all of a sudden they can’t vote. There is no good reason that a PO Box address is not sufficient to vote.” Making these stipulations (having the ‘correct’ kind of address) imposes a settler colonial system of law. Liahnna: This gets at why these two events (the North Dakota decision and the Warren controversy) are interesting and have incredible overlap. What is most important for me here is that we are seeing the consequences of settler-colonialism materialize, especially in how we constitute knowledge about Indigenous identity, culture, kinship, ancestry, to blood, DNA, authoritative science, land, and sovereignty. Janna: You point to a very important way in which our ways of knowing are still essentially colonial and disenfranchise Native folks. Jason: Absolutely. We can call them colonial and neocolonial logics, especially western common law (in the ND case) and imperial scientism (in Warren’s case). As in Maggie’s case, it’s about the “right” (i.e., settler-colonial) way to do things: governmental systems, productive use land, productive citizenship, language, religion, education. And, discipline and punishment for lack of comportment. Liahnna: It is true. Going back to what Janna said about that excluding Native American votes would support Republicans, it is clear that they are using a strategy that can seem “normal” and “understood” because Native American lives are distant (and removed) from the mainstream. Michael: I wonder if in a less-aware white person’s understanding, the notion of “living on a reservation” (a fixed geographic space) without having the permanence of a home address just seems difficult to process. Jason: In a Western paradigm, absolutely. Land is individualized, addresses are markers of domesticity and citizenship, etc. I think westerners just don’t get it. It’s why the Dawes Act in 1887 and the Indian Reorganization Act in 1934 were adopted, in part: to tie western standards of land ownership and productivity to Native folks. Maggie: Indeed, I think in regards to the reservation system and it seeming ‘alien’ to mainstream ways of dividing land or having addresses, it’s important to think about how sovereignty and jurisdiction are tied in here. 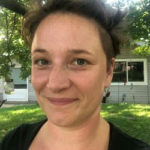 Janna: I think that many of the issues with the ND voter law reflect issues that other underserved and underprivileged communities have as well. However, for Native Americans, these issues are compounded and exacerbated because of their legal status and because of their remoteness from any public mainstream discussion. Michael: Yes—even when Native Americans are at the center of a public discussion (the Dakota Access Pipeline / Standing Rock protest comes to mind), they’re still discussed as somehow peripheral to the debate at hand. Janna: And usually we talk about Native people, not with them. And we rarely hand the mic over. Jason: In the upcoming issue of Argumentation & Advocacy, Rachel Presley writes about this issue: the white interventions into No-DAPL protest spaces and the “talk about” Native American people. Presley grounded the analysis in “white noise” and how white attendees sonically proscribed Native agency. Maggie: I remember reading that white people were treating it like Coachella. Liahnna: Interesting, too, is that it took mainstream media months to cover news on Dakota Access Pipeline and Standing Rock protest. As Tristan Ahtone (Kiowa) points out, Indigenous issues are only newsworthy when they are represented and portrayed in ways that are tangible for mainstream (White) society—e.g., face paint, feathers, and horses. Janna: That’s so true! The protests were very legible in stereotypical ways both in terms of visual but also in terms of narrative. Protesting made comparisons to the image of “savagery” so easy. Janna: I think this is partially what bugged me about how Warren’s DNA question was handled. On the one hand, great: people are talking about Native issues at all, and I’ve heard more Native voices on NPR in the last week than ever before. But at the same time, again, we needed a white person being implicated before any attention was paid at all. And an awful lot of the debate centered on Warren, not Native conceptualizations of identity. Jason: And not only a white person’s case raising the issue, but it being instigated by a white person, as well (Trump). Liahnna: So much unpacking with Warren… where do we begin!! Jason: Native cousins and Cherokee grandmothers… tell-tale signs of what Deloria and Brayboy call “playing Indian.” It’s how many white folks, particularly in the South, rely on a trope, or mythic narrative, of having Native cousins or having been “adopted” by a tribe/nation as a cousin/brother and/or of having a grandmother (usually who was a princess). These are used as ethos for connections to Indigeneity. Jason: It’s part of the “playing Indian” practice that really takes firm hold after 1887-1890 at the end of the Indian Wars, post-Wounded Knee, and in the midst of the allotment policy (i.e., Native communities secured/safe on reservations). This is when mascots crop up and the Boy Scouts become popular, with all of their Native imagery and rituals. Janna: And this connection to Indigeneity is something that within the tale of “how the West was won” alleviates guilt and justifies our presence on Native land. I guess it feels “nice” to claim Indian identities. Jason: Yes! It’s like Andy Jackson and Teddy Roosevelt: people briefly, safely leaving “civilization” behind to dwell in rugged, wild masculinity. Michael: So, let’s do a quick gut-check on the Warren DNA thing: What’s your one-word reaction to the video? Janna: I like that. I have thought about the why, but I can’t come to a conclusion. I know that as a non-American (I’m German), I thought that this entire discussion is so uniquely American. Both in the way that it completely disregards Native American history and legal status, but also in the way that in confuses DNA with cultural identity. Maggie: There’s a big misconception about race v. political status v. kinship that is illegible to US conceptions of race and nation. The one silver lining is that Warren’s video brought a lot of these conversations to the mainstream. For example, I think Dr. Kimberly TallBear’s note was widely circulated and covered in mainstream outlets. Liahnna: While we’re talking about TallBear’s work: I think another salient point of the Warren DNA test is the question of “Indian authenticity” as well. The backlash from the Cherokee Nation reflects this, too, especially in the ways that Cherokees broadly are maintaining that DNA tests do not represent Indigenous ties and do not give people the right to claim Indigeneity. Warren definitely paid lip service when she mentioned that she recognized that DNA tests are in no relation to tribal and/or cultural citizenship. Janna: To Warren’s defense: She seems to be able to tell apart her DNA from any claim to tribal identity. But I think her video was still grossly misleading because most folks don’t make those kind of distinctions, and DNA testing sites like ancestry.com have led us to confuse the issues more and more. Jason: Authenticity, always a sticky issue both externally and internally, comes to bear here. Warren said DNA didn’t a Cherokee/Delaware make, but the fact that the DNA test was her idea of a marker/test says something. And, she never consulted with the Cherokee Nation, the largest of three groups, yes? Michael: On the confusion of DNA and cultural identity, it might be curious to consider TallBear’s point here that the DNA/genetic language of today is in many ways another iteration of the language of “blood” that goes back generations and justified so much oppressive policy. Janna: The idea that blood/DNA is central to our identities justified so much racialized policy and bloodshed. It’s always confusing to me how people keep coming back to it. Jason: I so agree, Janna. Plessy v. Ferguson comes to mind. Liahnna: Absolutely—blood quantum laws, tribal requirements, land and community regulations—these are all macro-level racial projects. Janna: It is something that goes way beyond the Native identity debate. This link is to one of the ancestry.com commercial encouraging people to swap out their Lederhosen for a kilt because of DNA results. Apart from trading in stereotypes, it’s such a weird—and to me bordering on disgusting—assertion of DNA as identity. Liahnna: Wow. Advertisements like this trivialize the very issues that generally upset people, do they not? It’s also interesting that we are seeing such a huge increase in interest to services like 23andme and ancestry.com, especially if we are to consider essentialist/dynamic identity debates. In the context of racism in the US, easy connections can be made between identity, the right to belong, and patriotism. Maggie: The blood/DNA premise is highly disputed within Native American Indigenous nations as well. Michael Lambert (Eastern Band of Cherokee) has done research on the history of blood quantum membership politics. He argues that the Eastern Band adopted it during the Dawes Act era of the late 19th century to conserve resources at the time. Janna: I think it’s also important to point out that all these tribal regulations about blood quantum or being registered on the Dawes rolls are imposed from the outside: The federal government, by only recognizing some tribes, forced tribal nations to qualify membership. This makes Native Americans unique in the USA. Other hyphenated ethnicities or cultural groups don’t need to create legal benchmarks for membership. Janna: This goes back to one thing that Native and Chicano journalist Simon Moya-Smith said on 1A last week. Previously, the one-drop rule was used by white people to exclude marginalized communities. Now white folks use it to include themselves in said marginalized communities. And some people, Warren for example, aren’t even coming from a bad place. I think in a weird, weird way, she’s trying to express solidarity. However, there must be a way of expressing solidarity without cultural appropriation. Michael: Does the reaction to Warren reify that challenge Liahnna describes, of people who identify as having Native American lineage struggling to “prove” their own ancestry to others? Janna: The interesting thing about Native identities is that self-identification, which for cultural identities otherwise seems mostly fine, is so problematic for Native identities because they are legal identities. And the burden of proof is on the folks claiming Native identity, but by the standards set by individual tribal nations – not DNA. Liahnna: I think so, Michael. Part of the issue at hand in my auto-ethnography about Indigenous identity is exactly what you are referencing, having to “prove” Nativeness and my own experiences. Early on in conversations about my race and ethnicity, I had to latch onto words and images, ties to reservations, parent and grandparent tribal citizenships, and certain cultural traditions. Also, too, that I am fair-skinned always raises concerns for people and invites them to directly inquire about my specific blood quantum. Native folks are expected to look a certain way, and if they don’t, we doubt their identity. Janna: And often, these visual standards come from very weird places: Like a century of Hollywood Westerns. Which brings us back to the legibility of “Indianness” in the public sphere you had mentioned in context with #NoDAPL. Maggie: On the challenge of proving authenticity, Mark Rifkin has written a lot about this (and gotten a lot of flack) on how viewing Indigenous peoples as a minority race goes against the broader politics and nation-making that go into living life as an Indigenous person. Janna: Relatedly, there’s an increasing issue with tribal regulations for membership, as more and more folks who have a viable cultural claim don’t fulfill quantum rules anymore. Tribal nations will increasingly have to grapple with that in the next decades. Maggie: There seems to be a constant tension between protecting resources (against the “playing Indian” issue) and articulating a sense of belonging that is not tied to oppressive notions of blood/race. Jason: Liahnna, does the proving Nativeness issue depend on region, too? In the South—in North Carolina, particularly—the division between the eastern Cherokee and the Lumbee Nation is very real. The Cherokee communities’ (I pluralize) discourse tends to throw “realness” in the Lumbee’s faces. (Not all Cherokee rhetoric, but a fair bit.) In many ways, the challenge to Lumbee authenticity comes from the Cherokee group rather than from North Carolina or the feds. Interesting case. Liahnna: Good question, Jason. I would say it is circumstantial, of course. I come from a relatively small Tribe in southern Alabama, the Poarch Creek Mvskoke, in which tribal debates commonly circulate on whether benefits should go beyond people who are at least a quarter Native (again, a rule common to federally recognized tribes) because there are so few of us. However, conversations almost always seem to go in the direction of “realness,” at least in the way that you are referring to, especially in relation to culture, language preservation, and passing on traditions, which have been areas of greater concern in my Tribe as of late. There will always be inter-tribal politics, which should be recognized and always considered as socially, politically, and historically significant. Liahnna: Indeed! They were prominent in the Creek Wars, especially with the division of the tribe into Red Sticks and, of course, the “good, civil” Indians, per Andrew Jackson. Maggie: Liahnna brings up a really good point about inter-tribal politics. I think one silver lining to this is that it has made public not only intellectuals like Kim Tallbear, but also the diversity of opinions and politics. Michael: Speaking of public intellectuals—seeing how TallBear’s work has been taken up in wider public conversations gives me some hope that the type of work the four of you are doing on the rhetoric / language surrounding Native American identity isn’t all for naught. How can we help wider publics recognize this complexity more? Janna: In my opinion, we have to work towards an understanding of (public) scholarship as a form of allyship, and realize that without allies, most pushes for social change will hardly be realized. As scholars, it is our responsibility to draw attention to topics such as these – and then when we have the attention, we need to hand the mic over to Native people, scholars and non-scholars alike. Jason: I agree, Janna. And, for white-identified folks, don’t make arguments from “authentic” voices or attribute intent/motive to Native folks. Help to start (do not actually “start”) the conversations and step back. Janna: And that goes beyond Native issues again, too. As Jason pointed out earlier, the LGBTQ* communities and especially trans folks are in dire need of support at the moment. 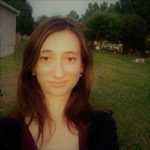 Liahnna: Yes, yes, yes – and to Janna’s point about a commitment to communicating for advocacy and challenging social inequities within our scholarship, this includes accounting for our own subjectivities and positionalities, which necessitates reflexivity and humility. Maggie: I think it important to facilitate a public understanding of alternate sovereignties and jurisdictions (e.g., addresses on reservations and kinship norms). And regarding white folks, agreed! Joining and listening to the many diverse existing conversations is of utmost importance. Janna: And realizing that solidarity does not require identification or (even less!) cultural appropriation. Voter suppression is an issue for all citizens (or non-citizens like me! ), regardless of whether we have a claim to Native identities or not. Liahnna: There is much undoing and unlearning to do, and that can be incredibly difficult… as we are witnessing. Janna: Unlearning is indeed such an important issue. It’s not only the lack of information, it’s the active presence of wrong information. Liahnna: Right! As we’ve noted—and what I hope to further emerge from these recent events—is a recognition for the ways taken-for-granted dominant ideological assumptions delegitimize and erase the rights, voices, and experiences of marginalized folks and thus constitute and sustain marginality. Realizing Indigenous solidarity and resistance as always existing is key here, too. We must engage with these issues with the goal of creating spaces for listening to typically silenced communities in order to create possibilities for social change.